Occupy Wall Street is great. I’m glad for the rebellion, the hope, and the determination to change this country, to change capitalism. I’m grateful for the tens of thousands of people in the streets of New York City, for fellow passengers on the train cheering us on, for occupations sprouting up around the country. I’m thankful for the collective stomping of the foot, the imagining of new spaces, the commitment to change. At the same time, I’m concerned. There are internal dynamics playing out at OWS that I hope we can address in time for this thing to become truly unstoppable. It is wonderful that people with privilege (and by this I mean white people, college-educated people, men, straight people, cis-gendered/non-trans people, able-bodied people, middle class people, wealthy people, Christian people, etc*) are filling the streets and plazas and turning out in droves against capitalism right now. They/we absolutely should be. At the same time, I’ve been observing interactions, hearing stories, and reading writing that indicates that there’s a long way to go before the space is really safe for, and centers the participation of, people who experience the brunt of structural oppression. There’s a lot of great writing going around, primarily by people of color, that covers this. Check out the rest of infrontandcenter.wordpress.com, for starters. For those of us who envision OWS becoming a genuinely anti-oppressive space, we’re also fortunate to have road maps left by previous struggles. 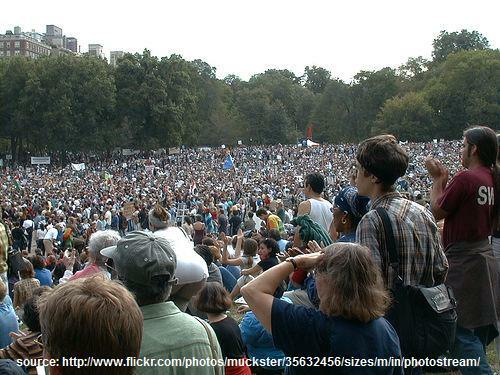 However innovative OWS is, there’s also a long radical history that leads up to this moment. There has been resistance since there has been oppression. Among the rebels there have been allies with privilege, tumbling enthusiastically before us. It’s important to learn from both their mistakes and successes.